The latest research from removal company comparison website, Compare My Move, has revealed that UK homeowners spent £9,746,745,840 on moving house in 2017, with the average UK homeowner facing £9,580 in additional moving costs. The figure takes into account a range of extra costs accrued when buying and selling a house, including conveyancing, surveying and estate agent fees, stamp duty, removal costs and fixed fees such as an Energy Performance Certificate. Compare My Move's data revealed the hidden extra costs for homeowners and first time buyers alike, and highlight how the recent changes in Stamp Duty threshold affected first time buyers in 2017. According to the findings, London is the most expensive region to move house in 2017, costing existing homeowners an eyewatering £28,714 in extra costs with first time buyers bearing the brunt of £7,765 in extra costs. At the other end of the scale, The North East stands as the cheapest region to move house, costing home owners £5,058 on average. The research finds that first time buyers in North East and Scotland haven't seen any benefit from the new Stamp Duty threshold. Of course, not all moves are made equal, and the costs of moving house varied region-by-region in 2017. The average cost of buying and selling a property in London tops the regions, costing existing homeowners a massive £28,714 in extra costs in 2017. 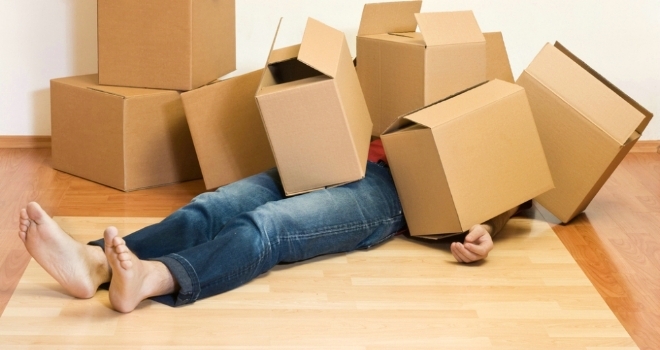 As a comparison, the average homeowner in England spent £10,465 to move house last year. The average moving costs in Scotland and Wales were less, but still daunting at an extra £6,032 and £6,246 respectively. The cheapest area to move house in 2017 was North East England, with house owners spending an extra £5,058 to move house. With the recent slashing of Stamp Duty for first time buyers, the extra costs for moving into a first house has generally been levelled across the UK. The exception is London, where the average cost of a first house is higher than the £300,000 Stamp Duty threshold, meaning a substantial £7,765 bill for movers in 2017. With the Stamp Duty changes, many first time buyers were in a better position at the end of 2017 than the start of last year. But even after including the changes, UK first time buyers had to pay on average £1,561 in extra costs to move in 2017. The cheapest region for first time buyers in 2017 was Scotland, with the cost of moving at £1,331 in 2017. Scotland and North East England however saw no changes to the cost of moving house on account of the Stamp Duty changes, because of the low prices of houses for first time buyers in the area (moving costs remained at £1,331 and £1,531 respectively). In contrast, the North West saw a £1,636 reduction in costs because of Stamp Duty changes, bringing the moving costs level with the North East at £1,531. A spokesperson for Compare My Move said: “When it comes to buying or selling a house, the last thing you need are unexpected extra costs. Clarity on costs is key, and knowing exactly how much you need to save can help keep your dream house from becoming a nightmare. We designed and released a free Cost of Moving House Calculator for this very reason: to ensure prospective homeowners are fully informed every step of the way. It can be particularly daunting for first time buyers, with many saving for years to get their first foot on the property ladder. For them especially, thousands of pounds in unexpected extra costs can be incredibly stressful. And as our figures show, recent Stamp Duty changes haven't helped first time buyers across every region, meaning it's as important as ever to be fully aware of extra costs. There are many ways to reduce costs, including performing conveyancing yourself, and using price comparison websites to compare and save on removal and surveying costs. But most of all it's best to get informed by using tools such as our calculator.